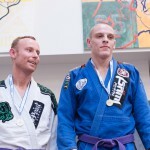 Thank you for participating in this years Danish Open BJJ 2015. We hope to see you in 2016! Check out the pictures from Saturday and Sunday on our facebook page. Kids, junior and colored belts fight on saturday. White belts and open class blue belts adult fight on sunday.